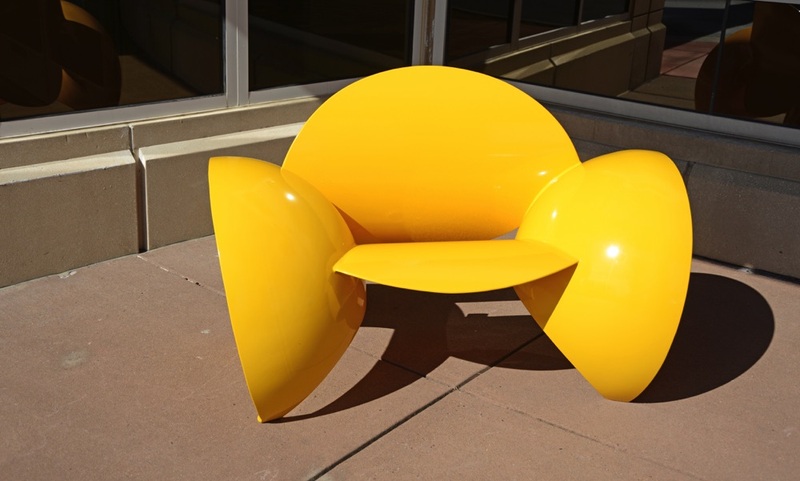 These benches were commissioned for two outside patio areas on either side of the main entrance to the outpatient clinic at Le Bonheur Children’s Hospital in Memphis. Along with bringing color and whimsy to the stark exterior of this modern building the artwork also sets a positive tone for children as they enter the building, letting them know they have arrived at a place of innovation and playfulness. One of the leading pediatric care, research, and teaching hospitals in the country, Le Bonheur has curated a substantial art collection which focuses on fanciful works that appeal to kids while simultaneously offering a level of sophistication for adults. Children are free to touch, handle and explore the art throughout the facility, with the intention that it reassure, delight and provide a distraction from the pressures of a hospital stay or visit.